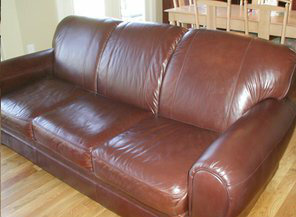 Leather Conditioning « PROTEK Onsite. Overnight. 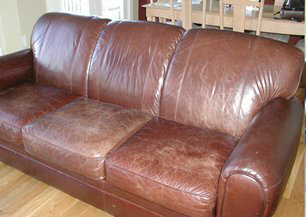 Leather furniture, where specified, will be cleaned, saddle-soaped in lather or mink oiled as needed; dried and buffed. This treatment will strengthen and beautify. The deep penetration will help to preserve and nourish the resiliency of the leather and impart soft, rich and durable suppleness.